Perhaps the most bitter pill to swallow for any Christian who attempts to “make peace” with Darwin is the presumed ape ancestry of man. Even many Christians who uncritically accept evolution as “God’s way of creating” try to somehow elevate the origin of man, or at least his soul, above that of the beasts. Evolutionists attempt to soften the blow by assuring us that man didn’t exactly evolve from apes (tailless monkeys) but rather from apelike creatures. This is mere semantics, however, as many of the presumed apelike ancestors of man are apes and have scientific names, which include the word pithecus (derived from the Greek meaning “ape”). The much-touted “human ancestor” commonly known as “Lucy,” for example, has the scientific name Australopithecus afarensis (meaning “southern ape from the Afar triangle of Ethiopia”). 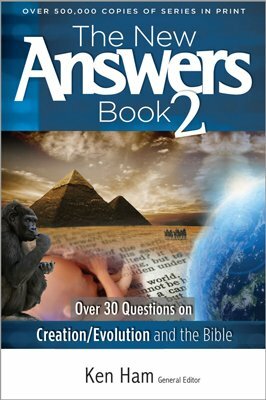 But what does the Bible say about the origin of man, and what exactly is the scientific evidence that evolutionists claim for our ape ancestry? God tells us that on the same day He made all animals that walk on the earth (the sixth day), He created man separately in His own image with the intent that man would have dominion over every other living thing on earth ( Genesis 1:26–28 ). From this it is clear that there is no animal that is man’s equal, and certainly none his ancestor. Thus, when God paraded the animals by Adam for him to name, He observed that “for Adam there was not found an help meet for him” ( Genesis 2:20 ). Jesus confirmed this uniqueness of men and women when He declared that marriage is to be between a man and a woman because “from the beginning of the creation God made them male and female” ( Mark 10:6 ). This leaves no room for prehumans or for billions of years of cosmic evolution prior to man’s appearance on the earth. Adam chose the very name “Eve” for his wife because he recognized that she would be “the mother of all living” ( Genesis 3:20 ). The apostle Paul stated clearly that man is not an animal: “All flesh is not the same flesh: but there is one kind of flesh of men, another flesh of beasts, another of fishes, and another of birds” ( 1 Corinthians 15:39 ). Since evolutionists generally do not believe that man evolved from any ape that is now living, they look to fossils of humans and apes to provide them with their desired evidence. Specifically, they look for any anatomical feature that looks “intermediate” (between that of apes and man). Fossil apes having such features are declared to be ancestral to man (or at least collateral relatives) and are called hominids. Living apes, on the other hand, are not considered to be hominids, but rather are called hominoids because they are only similar to humans but did not evolve into them. Nonetheless, evolutionists are willing to accept mere similarities between the fossilized bones of extinct apes and the bones of living men as “proof ” of our ape ancestry. What Is the Evidence for Human Evolution? Though many similarities may be cited between living apes and humans, the only historical evidence that could support the ape ancestry of man must come from fossils. Unfortunately, the fossil record of man and apes is very sparse. Approximately 95 percent of all known fossils are marine invertebrates, about 4.7 percent are algae and plants, about 0.2 percent are insects and other invertebrates, and only about 0.1 percent are vertebrates (animals with bones). Finally, only the smallest imaginable fraction of vertebrate fossils consists of primates (humans, apes, monkeys, and lemurs). Because of the rarity of fossil hominids, even many of those who specialize in the evolution of man have never actually seen an original hominid fossil, and far fewer have ever had the opportunity to handle or study one. Most scientific papers on human evolution are based on casts of original specimens (or even on published photos, measurements, and descriptions of them). Access to original fossil hominids is strictly limited by those who discovered them and is often confined to a few favored evolutionists who agree with the discoverers’ interpretation of the fossil. Since there is much more prestige in finding an ancestor of man than an ancestor of living apes (or worse yet, merely an extinct ape), there is immense pressure on paleoanthropologists to declare almost any ape fossil to be a “hominid.” As a result, the living apes have pretty much been left to find their own ancestors. Many students in our schools are taught human evolution (often in the social studies class!) by teachers having little knowledge of human anatomy, to say nothing of ape anatomy. But it is useless to consider the fossil evidence for the evolution of man from apes without first understanding the basic anatomical and functional differences between human and ape skeletons. Because of their relative hardness, teeth and jaw fragments are the most frequently found primate fossils. Thus, much of the evidence for the ape ancestry of man is based on similarities of teeth and jaws. In contrast to man, apes tend to have incisor and canine teeth that are relatively larger than their molars. Ape teeth usually have thin enamel (the hardest surface layer of the tooth), while humans generally have thicker enamel. Finally, the jaws tend to be more U-shaped in apes and more parabolic in man. The problem in declaring a fossil ape to be a human ancestor (i.e., a hominid) on the basis of certain humanlike features of the teeth is that some living apes have these same features and they are not considered to be ancestors of man. Some species of modern baboons, for example, have relatively small canines and incisors and relatively large molars. While most apes do have thin enamel, some apes, such as the orangutans, have relatively thick enamel. Clearly, teeth tell us more about an animal’s diet and feeding habits than its supposed evolution. Nonetheless, thick enamel is one of the most commonly cited criteria for declaring an ape fossil to be a hominid. Artistic imagination has been used to illustrate entire “apemen” from nothing more than a single tooth. In the early 1920s, the “apeman” Hesperopithecus (which consisted of a single tooth) was pictured in the London Illustrated News complete with the tooth’s wife, children, domestic animals, and cave! Experts used this tooth, known as “Nebraska man,” as proof for human evolution during the time of the Scopes trial in 1925. In 1927, parts of the skeleton were discovered together with the teeth, and Nebraska man was found to really be an extinct peccary (wild pig)! Skulls are perhaps the most interesting primate fossils because they house the brain and give us an opportunity, with the help of imaginative artists, to look our presumed ancestors in the face. The human skull is easily distinguished from all living apes, though there are, of course, similarities. The vault of the skull is large in humans because of their relatively large brain compared to apes. Even so, the size of the normal adult human brain varies over nearly a threefold range. These differences in size in the human brain do not correlate with intelligence. Adult apes have brains that are generally smaller than even the smallest of adult human brains, and of course they are not even remotely comparable in intelligence. Perhaps the best way to distinguish an ape skull from a human skull is to examine it from a side view. From this perspective, the face of the human is nearly vertical, while that of the ape slopes forward from its upper face to its chin. From a side view, the bony socket of the eye (the orbit) of an ape is obscured by its broad, flat upper face. Humans, on the other hand, have a more curved upper face and forehead, clearly revealing the orbit of the eye from a side view. Another distinctive feature of the human skull is the nose bone that our glasses rest on. Apes do not have protruding nasal bones and would have great difficulty wearing glasses. The most eagerly sought-after evidence in fossil hominids is any anatomical feature that might suggest bipedality (the ability to walk on two legs). Since humans walk on two legs, any evidence of bipedality in fossil apes is considered by evolutionists to be compelling evidence for human ancestry. But we should bear in mind that the way an ape walks on two legs is entirely different from the way man walks on two legs. The distinctive human gait requires the complex integration of many skeletal and muscular features in our hips, legs, and feet. Thus, evolutionists closely examine the hipbones (pelvis), thighbones (femur), leg bones (tibia and fibula), and foot bones of fossil apes in an effort to detect any anatomical features that might suggest bipedality. Evolutionists assume that fossil apes with a high carrying angle (humanlike) were bipedal and thus evolved into man. Certain australopithecines (apelike creatures) are considered to have walked like us and thus to be our ancestors largely because they had a high carrying angle. But high carrying angles are not confined to humans—they are also found on some modern apes that walk gracefully on tree limbs and only clumsily on the ground. Living apes with a high carrying angle (values comparable to man) include such apes as the orangutan and spider monkey—both adept tree climbers and capable of only an apelike bipedal gait on the ground. The point is that there are living tree-dwelling apes and monkeys with some of the same anatomical features that evolutionists consider to be definitive evidence for bipedality, yet none of these animals walks like man and no one suggests they are our ancestors or descendants. The human foot is unique and not even close to the appearance or function of the ape foot. The big toe of the human foot is in-line with the foot and does not jut out to the side like an ape’s. Human toe bones are relatively straight, rather than curved and grasping like ape toes. While walking, the heel of the human foot hits the ground first and then the weight distribution spreads from the heel along the outer margin of the foot up to the base of the little toe. From the little toe it spreads inward across the base of the toes and finally pushes off from the big toe. No ape has a foot or push-off like that of a human, and thus, no ape is capable of walking with our distinctive human stride or making human footprints. The pelvis (hipbones) plays a critically important role in walking, and the characteristic human gait requires a pelvis that is distinctly different from that of the apes. Indeed, one only has to examine the pelvis to determine if an ape has the ability to walk like a man. The part of the hipbones that we can feel just under our belt is called the iliac blade. Viewed from above, these blades are curved forward like the handles of a steering yolk on an airplane. The iliac blades of the ape, in contrast, project straight out to the side like the handlebars of a scooter. It is simply not possible to walk like a human with an apelike pelvis. On this feature alone one can easily distinguish apes from humans. Emphasize certain humanlike qualities of fossilized ape bones, and with imagination upgrade apes to be more humanlike. Emphasize certain apelike qualities of fossilized human bones, and with imagination downgrade humans to be more apelike. 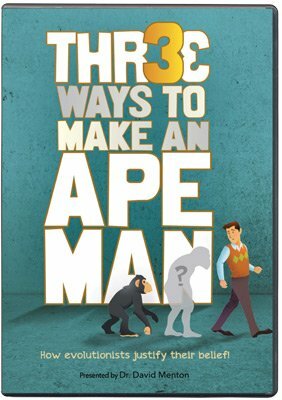 These three approaches account for all of the attempts by evolutionists to fill the unbridgeable gap between apes and men with fossil apemen. The most famous example of an apeman proven to be a combination of ape and human bones is Piltdown man. In 1912, Charles Dawson, a medical doctor and an amateur paleontologist, discovered a mandible (lower jawbone) and part of a skull in a gravel pit near Piltdown, England. The jawbone was apelike, but had teeth that showed wear similar to the human pattern. The skull, on the other hand, was very humanlike. These two specimens were combined to form what was called “Dawn man,” which was calculated to be 500,000 years old. Many apemen are merely apes that evolutionists have attempted to upscale to fill the gap between apes and men. These include all the australopithecines, as well as a host of other extinct apes such as Ardipithecus, Orrorin, Sahelanthropus, and Kenyanthropus. All have obviously ape skulls, ape pelvises, and ape hands and feet. Nevertheless, australopithecines (especially Australopithecus afarensis) are often portrayed as having hands and feet identical to modern man; a ramrod-straight, upright posture; and a human gait. The best-known specimen of A. afarensis is the fossil commonly known as “Lucy.” A life-like mannequin of “Lucy” in the Living World exhibit at the St. Louis Zoo shows a hairy, humanlike female body with human hands and feet but with an obviously apelike head. The three-foot-tall Lucy stands erect in a deeply pensive pose with her right forefinger curled under her chin, her eyes gazing off into the distance as if she were contemplating the mind of Newton. Despite evidence to the contrary, evolutionists and museums continue to portray Lucy (A. afarensis) with virtually human feet (though some are finally showing the hands with long, curved fingers). In an effort to fill the gap between apes and men, certain fossil men have been declared to be “apelike” and thus, ancestral to at least “modern” man. You might say this latter effort seeks to make a “monkey” out of man! Human fossils that are claimed to be “apemen” are generally classified under the genus Homo (meaning “man”). These include Homo erectus, Homo heidelbergensis, and Homo neanderthalensis. The story of how Neanderthal man was demoted to an apeman provides much insight into the methods of evolutionists. The best-known human fossils are of Cro-Magnon man (whose marvelous paintings are found on the walls of caves in France) and Neanderthal man. Both are clearly human and have long been classified as Homo sapiens. In recent years, however, Neanderthal man has been downgraded to a different species—Homo neanderthalensis. The story of how Neanderthal man was demoted to an apeman provides much insight into the methods of evolutionists. Neanderthal man was first discovered in 1856 by workmen digging in a limestone cave in the Neander valley near Dusseldorf, Germany. The fossil bones were examined by an anatomist (Professor Schaafhausen) who concluded that they were human. At first, not much attention was given to these finds, but with the publication of Darwin’s Origin of Species in 1859, the search began for the imagined “apelike ancestors” of man. Darwinians argued that Neanderthal man was an apelike creature, while many critical of Darwin (like the great anatomist Rudolph Virchow) argued that Neanderthals were human in every respect, though some appeared to be suffering from rickets or arthritis. Over 300 Neanderthal specimens have now been found scattered throughout most of the world, including Belgium, China, Central and North Africa, Iraq, the Czech Republic, Hungary, Greece, northwestern Europe, and the Middle East. This group of people was characterized by prominent eyebrow ridges (like modern Australian Aborigines), a low forehead, a long, narrow skull, a protruding upper jaw, and a strong lower jaw with a short chin. They were deep-chested, large-boned individuals with a powerful build. It should be emphasized, however, that none of these features fall outside the range of normal human anatomy. Interestingly, the brain size (based on cranial capacity) of Neanderthal man was actually larger than average for that of modern man, though this is rarely emphasized. Most of the misconceptions about Neanderthal man resulted from the claims of the Frenchman Marcelin Boule who, in 1908, studied two Neanderthal skeletons that were found in France (LeMoustier and La Chapelle-aux- Saints). Boule declared Neanderthal men to be anatomically and intellectually inferior brutes who were more closely related to apes than humans. He asserted that they had a slumped posture, a “monkey-like” arrangement of certain spinal vertebrae, and he even claimed that their feet were of a “grasping type” (like those of gorillas and chimpanzees). Boule concluded that Neanderthal man could not have walked erectly, but rather must have walked in a clumsy fashion. These highly biased and inaccurate views prevailed and were even expanded by many other evolutionists up to the mid-1950s. In 1957, the anatomists William Straus and A.J. Cave examined one of the French Neanderthals (La Chapelle-aux-Saints) and determined that the individual suffered from severe arthritis (as suggested by Virchow nearly 100 years earlier), which had affected the vertebrae and bent the posture. The jaw also had been affected. These observations are consistent with the Ice Age climate in which Neanderthals had lived. They may well have sought shelter in caves, and this, together with poor diet and lack of sunlight, could easily have led to diseases that affect the bones, such as rickets. In addition to anatomical evidence, there is a growing body of cultural evidence for the fully human status of Neanderthals. They buried their dead and had elaborate funeral customs that included arranging the body and covering it with flowers. They made a variety of stone tools and worked with skins and leather. A wood flute was recently discovered among Neanderthal remains. There is even evidence that suggests that Neanderthals engaged in medical care. Some Neanderthal specimens show evidence of survival to old age despite numerous wounds, broken bones, blindness, and disease. This suggests that these individuals were cared for and nurtured by others who showed human compassion. Oh, that these heretical words were printed as a warning on every textbook, magazine, newspaper article, and statue that presumes to deal with the bestial origin of man! No, we are not descended from apes. Rather, God created man as the crown of His creation on Day 6. We are a special creation of God, made in His image, to bring Him glory. What a revolution this truth would make if our evolutionized culture truly understood it! 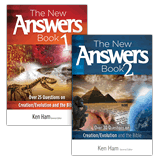 Previous Chapter Are Mutations Part of the “Engine” of Evolution? Next Chapter Does the Bible Say Anything about Astronomy? S. Zuckerman, Beyond the Ivory Tower (London: Weidenfeld & Nicolson, 1970), p. 64. American Journal of Physical Anthropology 60:279–317, 1983.